Recent Industry Studies Reveal Liposuction Can Improve Sugar Control For Diabetes. Sourcing the The American Society of Plastic Surgeons & The American Academy of Cosmetic Surgery - San Diego Plastic Surgeon Dr Maurice Sherman tells his liposculpture/liposuction patients that recent studies now reveal that lipo provides health benefits particularly with your body's metabolic processes – giving a dramatic increase in your body’s ability to handle cholesterol and fats after liposuction, and indeed – liposuction can be instrumental in cutting back the body’s triglyceride fatty acid level – as well as improving sugar control for diabetes or perhaps preventing – diabetes. 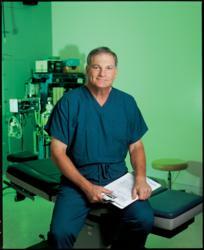 "We have tremendous proof via studies that show there is metabolic improvement with liposuction. It can help your body return to a healthier state – particularly if you combine it with more exercise and better/healthy dieting," says Dr Sherman. Also - What Kind Of People Usually Seek Liposuction? Dr Sherman says text books used to talk about the ideal liposuction patient. A patient that was in good shape – not overweight – but had some mild areas of resistant fatty fullness resistant to diet and exercise. “And so, liposuction was excellent for those patients, because their skin tone was good and it wasn’t a major procedure – kind of like touch-up work." While that sounds wonderful – those patients have taken a back seat. For top lipo docs, "We now see patients who have overeaten and gradually weight has been added in the form of fat deposits." Most of those deposits align themselves in superficial areas such as the abdomen, hips, flanks, thighs, arms – even breasts. "As long as the fatty deposits are superficial – they’re approachable with liposuction directly," says Dr. Sherman.